A positive start to education is one of the most important gifts we can give children in our care. We believe that learning which is well-planned and delivered with enthusiasm and awareness helps children at all levels to acquire a love of discovery, investigation and new experiences. Our aim is to provide the best possible learning environment for every child who spends time with us. We have wonderful, spacious indoor and outdoor learning areas and we encourage children to explore both in a safe, supervised manner. In particular, our Forest School is a wonderful outdoor facility that introduces children to the wonder and beauty of nature without having to leave the school site. We encourage children to work and play together, but respect the need for peace and privacy when appropriate. Our children are helped to manage conflict or challenging situations in a positive and pro-active way, listening to others and finding ways to work together. All our learning areas are safe and secure, allowing children to feel at home wherever they choose to learn. It’s important that we know how your child is progressing, and that we share that progress with you. We begin by talking to, listening to and interacting with your child. This gives us a point from which all future assessments can be made. Our assessments are carried out without interrupting the way your child works and plays. Mostly observational, we look for ways in which your child has progressed, as well as areas in which we think they may need more help. When looking at a child’s progress, we always remember that every child is different and that learning progression in the early stages of development varies hugely from one child to the next. 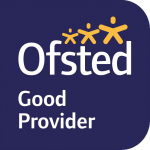 So all our assessments are based purely on what we think is best for your child. We keep you up-to-date on your child’s progress at regular intervals, and we can answer any questions you have at any time. When it’s time for your child to leave us and start primary school, we share our assessment with the new school to help them with their own learning preparation. Your child has the best start when we all work together to help and support them. We welcome all the support and involvement you can give, both when you first bring your child to our nursery school and during their time here. Talking to your child about their day, sharing books with them, attending any parent/nursery school meetings and getting involved in the life of the nursery school are just some of the ways you can have a positive influence at this important learning and development stage. Our staff are trained, experienced teachers and support staff who are experts in early years learning. We regularly send staff for additional training, or manage training at the nursery school in order to make sure your child benefits from the latest understanding and teaching techniques. Our staff have regular personal assessments, and are observed while working with the children so that we can be confident that they are effective in both their teaching and their attitude. Everyone on the staff team is encouraged to bring new ideas and improvements to the school, so that we are constantly improving the way we work with your child. To find out more about our approach to teaching and learning, please do contact us. At Guildford Nursery School children have access to our beautiful indoor and outdoor environments, all day long, all year round. They have long periods of time when they can play both inside and out. Being outside is so important because children need to be physically active. The Department for Health recommend that young children are active for a minimum of three hours each day. • Develops the muscles needed for writing. • Stimulates the eye muscles needed to follow text during reading. • Helps children to learn how to play with others and acquire friendship skills. • Improves the function of heart, lungs and blood circulation which in turn means healthier children. • Stimulates children to communicate both non-verbally and verbally, children are far more likely to talk outside than inside. • Gives children the opportunity to understand concepts with their whole bodies. Concepts that they will later understand in a more abstract way, such as many of the ideas we use in maths, like weight and size. • Brings the brain to just the right state for taking in and processing new experiences. • Creates learning and memory. Being still and sitting still are very complex and advanced skills which young children are not ready for until they are 6 or 7 years old. Being able to keep your body still requires well developed balance and finely controlled muscles. Both of these are gained from moving rather than practising stillness. Children who find it difficult to sit still for developmentally appropriate amounts of time need to move more. Why do children need to get outside and engage with nature? Engaging with nature involves using all the senses to notice details in the natural world. Children use their imagination and creativity to make up games, they are not dependent on toys or screens. There is usually a greater use of language because of this. Engaging with nature offers children open ended, imaginative and creative play by using what is naturally available to them. Children are more likely to demonstrate higher level learning when engaging with nature in this way. Engaging with nature offers spontaneous learning opportunities and experiences. It cultivates imagination. Children engaging with nature are often still, reflective, observant and co-operative. They learn to be respectful of their environment. Children learn to make use of what is already there. The ideas are all their own. This is both empowering and leads to better mental health. Engaging with nature involves children making their own choices, allowing them freedom with guidance. What do we provide outdoors? • Plentiful space so that children can move freely without obstruction. • A variety of different surfaces for children to move on. Different surfaces makes different demands on a child’s muscles and posture. • Opportunities for children to go up and down so children can learn about gravity. • Large vertical and horizontal surfaces for children to work on in an energetic, whole-bodied way, such as painting on a large expanse of wall or floor. • Places and materials for digging and filling. Digging and filling provide physical workouts for lungs, circulation, bones, muscles, ligaments and tendons. • Lots of things to lift, carry and transport. Outdoors children are able to work on a larger scale which makes greater demands on their physical activity and development. • Wheeled vehicles: playing with them involves pushing and pulling with legs, arms, back and shoulders. Children have to use both sides of their body alternately which helps develop both sides of their brains, necessary for hand-eye co-ordination, reading and writing. Moving fast and turning corners develops children’s posture and balance. • Dance, music, rhymes and games: these support physical development, social and emotional development as well as communication. • Calm places so that children can rest and recover. Children go from high levels of energy to sudden exhaustion, calm and rest are essential for their well-being and health. What do the adults do outside? • Join in, model active play and dress appropriately for physical activity. • Enable a balance of child and adult led physical activity. • Encourage, support and engage children in physical activity through action and verbal and non-verbal communication. • Communicate with children about physical activity, use movement vocabulary, ask questions, and respond to children’s answers. • Allow children to play with mud and sticks, and to get dirty. • At Forest School we teach children how to use tools and to light fires. • Allow children to climb trees and to build dens. • Grow fruit and vegetables with the children. • Encourage children to look closely at mini-beasts, flowers, and plants, treating them with respect. • Allow children the freedom to choose where they go and what they do, with skilled adults available to offer guidance.